For the fiction readers amongst us, the thought of reading a science book may have a spinach-like feel. We know it's good for us, but it's kind of a bitter taste. Fans of science writing know better. In order to appeal to the lay reader, the scientist must not only be an expert in his or her field, but must also be a storyteller. The author must have the ability to synthesize complex information and present it in a way to engage the reader and keep those pages turning. 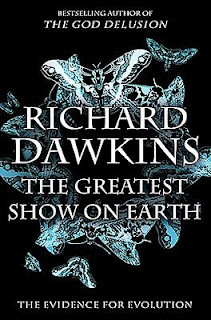 Richard Dawkin's latest, The Greatest Show on Earth is a provocative look at evolution. Newsweek referred to Dawkin's as "Darwin's Rottweiler". Dawkins says that in his previous books he began with the assumption that evolution was an accepted fact. In his latest he presents evidence of evolution to young-earth creationists. The Greatest Show on Earth is sure to inspire heated debate to those who are passionate about this polarized topic. Science writing also has the potential to present engaging character portraits. 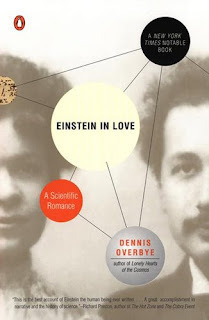 Einstein In Love: A Scientific Romance by Dennis Overbye focuses on Einstein's early years and his sometimes complicated relationships with women. The reader gets a picture of Einstein's work in the context of his personal relationships and the time in which he lived. These character portraits are not limited to humans.Some of the most engaging books have been written about animals and the natural world. I'm thinking particularly of Dian Fossey's Gorillas in the Mist. Fossey introduced the world to the elusive mountain gorilla, shattering their savage King Kong myth. We mourned along with her when her favourite, Digit, was murdered. The techies and gearheads amongst us appreciate the science of everyday life. 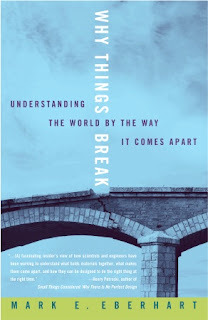 Fans of shows like How It's Made and Mythbusters might enjoy Why Things Break by Mark Eberhart. He uses examples ranging from taffy to the Titanic to illustrate materials engineering. Canadian Jay Ingram, in addition to his television show Daily Planet, has a number of books dealing with everyday science. He presents his science in tidbits of entertaining information. He is especially known for his amusing anecdotes and lighthearted approach.